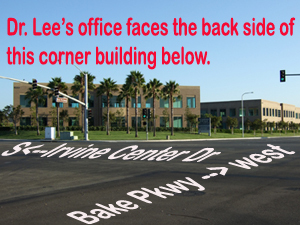 Location, Driving Direction, Map, Photos to Dr. Lee' office. 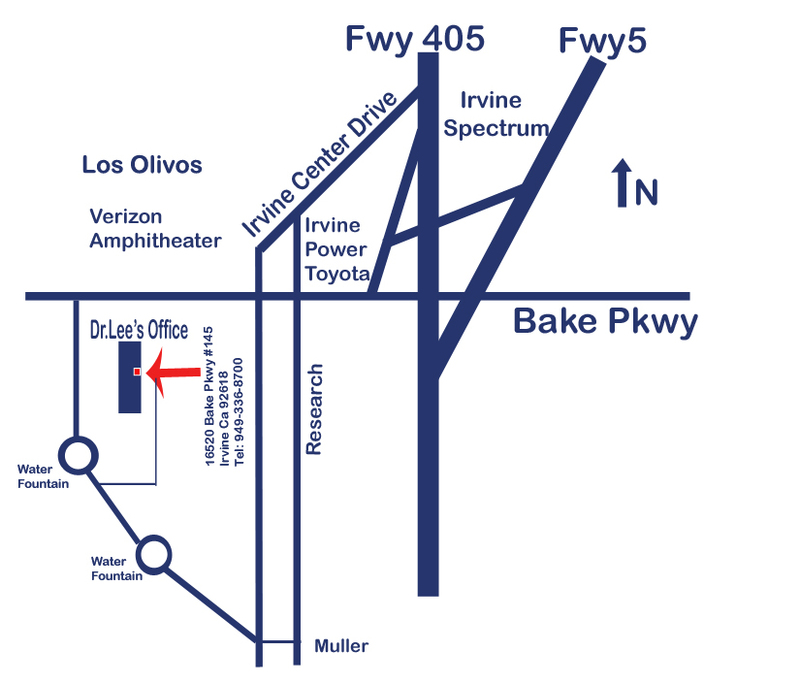 We are located across the freeway from the Irvine Spectrum near the Verizon Amphitheater in Irvine at the corner of Bake Parkway and Irvine Center Drive. 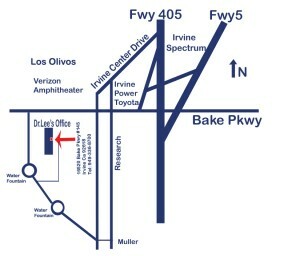 Please note that the GPS in the car will mistakenly takes you to Bake and Irvine Blvd which is NOT Irvine Center Dive. 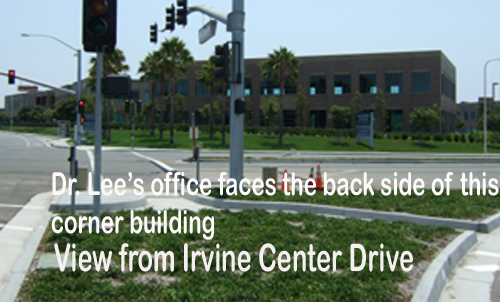 - Once you pass Irvine Center Drive, go about 500 ft, make 1st left turn into a Business Park at traffic light (Gitano). 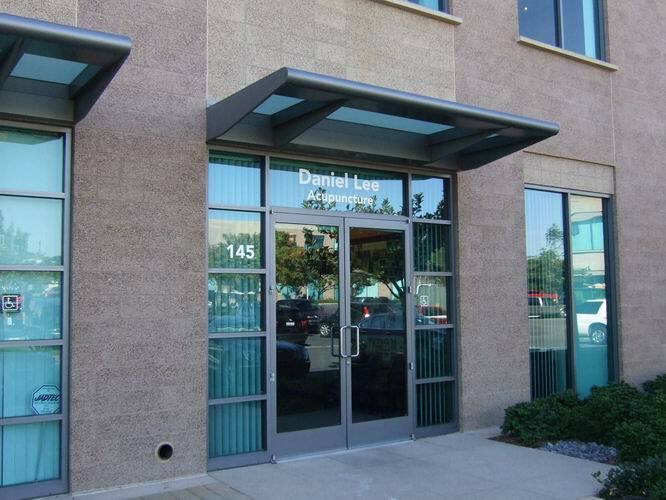 There are about 20 Brown Buildings in the complex see photos above. - Pass the 1st circular water fountain, then pass 6 more trees on the left, make 2 turn left turns (as shown on the map). Our clinic is (Unit 145) in the mid-section of a long 2 store building on left.